Anna joins the Multnomah Athletic Club’s 20s/30s Committee | Stahancyk, Kent & Hook P.C. On Friday, associate attorney Anna Friedhoff accepted a position on the Multnomah Athletic Club’s 20s/30s Committee. This is her first time serving on a MAC Committee, and Anna hopes the beginning of a great era of leadership. The MAC 20s/30s Committee is especially important to the club because it provides the perspective of its young members, and plans events geared towards a younger audience including “Cocktails on the Courts” and “Tubes and Brews”. 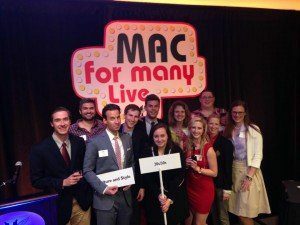 The MAC is currently undergoing a huge push to bring in younger members, and Anna is happy to be apart of that goal. She will meet her fellow committee members for the first time on April 2.